Blu Homes Inc., manufacturer of green precision-built prefab homes, recently introduced garages and carports for its homes. 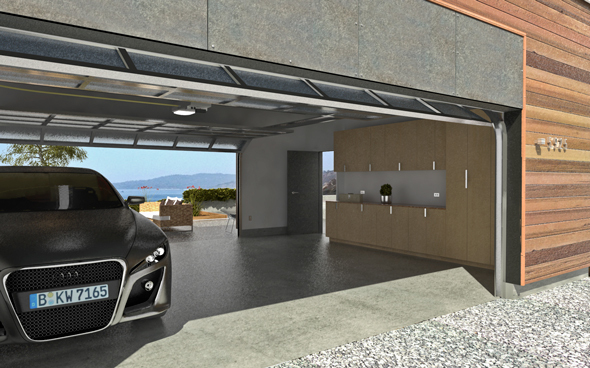 The garages are available in three options and can be designed, built and finished by the home builder. "So many of our clients have asked us for garages, and we are very excited to now offer a beautifully-designed, environmentally-conscious garage line," said Brett Chisholm, VP Sales – Americas in a statement. The garages can fit two cars plus storage options. The W-Series Premium Garage features include Greenguard certified cabinetry and casework; sealed cedar siding; electric car outlet; double-pane Andersen windows; modern exterior light features and twin aluminum and glass garage doors.